Your child’s first set of permanent molars erupts around age 6. At this time it is very important to have your child come in for a check up in order to see if they are ready for sealants. Their second set of molars erupts around age 12 and these too need to be protected by dental sealants. Placing sealants as soon as these teeth erupt can help protect them from future cavities. Since molars are all the way in the back of the mouth, young children often neglect brushing them. These teeth are particularly prone to cavities because they come into contact with food the most and have nooks and crannies where bacteria can hide. Often times, it is impossible to thoroughly clean these surfaces with a regular toothbrush. Over time, the combination of food and bacteria can cause the decay of the tooth. Fortunately, sealants can help. 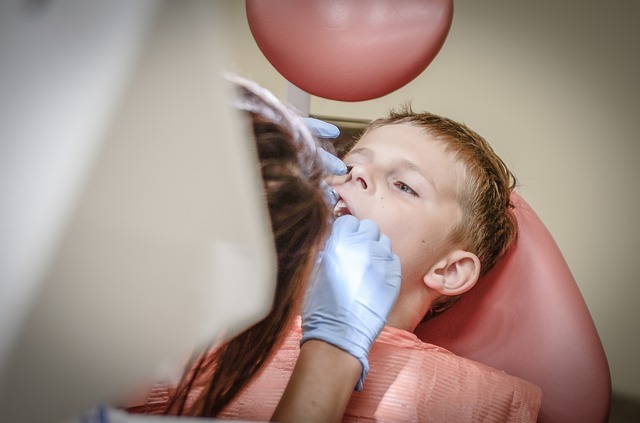 The pediatric experts at Orthodontics and Dentistry For Kids will often tell patients that sealants, despite their benefits, do not necessarily prevent cavities. Improper oral hygiene, lack of brushing and flossing, as well as eating sugary foods will cause cavities to occur. While sealants may decrease the chances of getting cavities, the only way to completely prevent them is to make sure to brush and floss. The application of dental sealants is painless, done in minutes, and can give the teeth up to 10 years of protection, which makes it an ideal procedure for preserving your child’s permanent teeth. For the most part, sealants are colorless or slightly tinted to match the patient’s natural tooth color therefore it is not easily seen when the patient smiles, talks or laughs. Dental sealants are made of a thin acrylic coating that is added to surfaces of a tooth to create a barrier between harmful bacteria and the enamel it wants to destroy. A popular location to get dental sealants is over the deep grooves of the back molars where food can easily get trapped. Sealants have shown to reduce the risk of decay by 80%. The Center for Disease Control showed that children without dental sealants are about 3 times more likely to get a cavity. While it is never too late to get a dental sealant, the earlier, the better. In certain conditions, a sealant can also be used as a way to halt decay in its early stage before it can damage the tooth further. The clear sealant gives your dentist a window to make sure that the decay does not progress further. A child’s primary teeth are great for protecting with sealants. Ensuring the teeth stay healthy until they are ready to fall out naturally is crucial. A very smart investment is to get dental sealants on your child’s adult teeth as soon as they are in place. Early preventive dental care measures can make a huge difference! Contact us to find out if your child may benefit from a dental sealant.